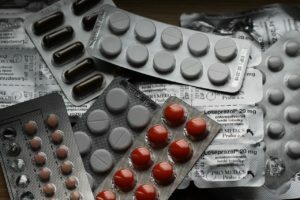 Should You Consider Medical Cannabis Over Opioids for Chronic Pain Management? When people suffer from chronic pain, they don’t have many options and opioids are often prescribed by doctors to help, although this isn’t always the case. There is another option that doctors are starting to recognize as more effective and less harmful than most pain medicine – medical cannabis. With the legalization of medical marijuana, chronic pain sufferers may have a better option. Find out why cannabis may be a better option for you over opioids. There is no denying that opioids can help you deal with symptoms of chronic pain. However, they aren’t the best solution to your troubles. One of the biggest issues with opioids is the addictive nature of them. Despite relieving your pain, they manage to get you hooked. Over time, you need more and more medication to fight your pain. This can lead to overdose and addiction troubles. When people use opioids, they don’t only have the risk of addiction. They also have the risk of overdose. In 2016, there were 2,458 overdoses in Canada alone. The opioid overdose crisis is a very serious public health threat that needs to resolved. With more people receiving prescriptions for opioids, this should come as no surprise as this medication does more harm than good. Opioids tackle the issues plaguing chronic pain sufferers but they come with the serious risk of addictiveness and the potential for overdose. For a long time, doctors sought out a substitution for opioids that could get the job done. With medical marijuana entering the market, it can be explored as a healthier alternative. Finding a substitute for opioids seems like a big task, after all, they do treat chronic pain well. Finding a substitute would need to be as effective at fighting pain. However, it also would need to be less addictive and safer. It also would need to be accessible. Before medical marijuana was legal, it wasn’t readily accessible. As a result, it wasn’t even noticed as a potential substitute. Now that people can access marijuana legally, it’s a viable alternative. In addition to being accessible, it’s much safer, less addictive, and equally effective. Medical marijuana checks off all the boxes for an ideal substitute to opioids. In fact, a study with cannabis and opioids found that 93% of patients preferred using cannabis over opioids when it came to pain management. Those who were using cannabis reported that they were also less likely to use opioids because cannabis was just as effective for their pain, with many fewer side effects. How Can Cannabis Reduce Symptoms of Chronic Pain? 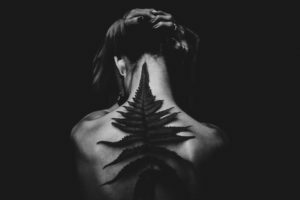 What makes cannabis so good at reducing symptoms of chronic pain? We would need to look at the science behind it to better understand. Like opioids, cannabis blocks the pain signals in your nervous system. The main chemical component in cannabis that is responsible for this is THC. THC helps stop the pain signal from sending, which leaves you feeling more comfortable. There’s another ingredient in cannabis that also helps, called CBD. CBD binds to your brain’s receptors and may reduce drug cravings. As a result, addiction is less of a problem. Some research even shows that CBD might be an effective way to combat opioid addiction. One of the benefits of cannabis and THC is that it could help patients wean off of opioids. When a patient takes opioids and THC at the same time, doctors can reduce their opioid doses without major side effects. Patients are less likely to experience withdrawal or discomfort, and eventually, the doctor can wean you off of opioids. There is already some proof that cannabis can replace opioids. In the US, prescription drug spending dropped after several states passed legislation allowing medical cannabis. Medicare drug spending dropped by about $165 million after those laws were passed. 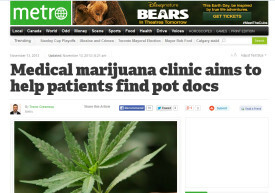 Instead of using prescription drugs, people turned to medical marijuana. About 32% to 36% of drug substitutions were prescription opioids. Also replaced were benzodiazepines and antidepressants. Medical marijuana opens new doors for those who suffer from chronic pain. You may suffer from pain because you refuse to go on addictive opioids. If this is the case, cannabis can be your solution. It offers a way for you to ease your pain safely and effectively, without the likelihood of addiction. With a viable option, you can treat your pain without fear of addiction. Cannabis also opens doors for those who find themselves addicted to opioids. With the right doctor, you will be able to find the right dose of cannabis and opioids to lessen your dependency on opioids. Over time, you may be able to fight your pain with low doses of opioids, and eventually be able to completely substitute your opioids with cannabis. Finally, cannabis could prevent the thousands of opioid overdoses that are occurring each year. Too many people lose their lives over prescription drug overdoses. Medical marijuana eliminates this problem. In addition to taking away your pain, it can save countless lives. 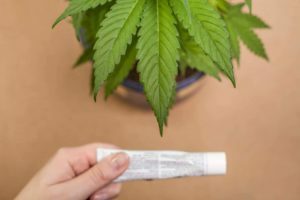 Getting Started with Medical Cannabis for Pain Relief! Many people hesitate to turn to medical marijuana as a solution to their chronic pain. They typically don’t know where to start and remain on dangerous opioids. However, getting started is easier than you might think and we’re here to help you! At MMS, we will connect you with a doctor who will diagnose your illness. If you are fighting with chronic pain, sign up today and our doctors will prescribe you medical cannabis to get the relief you need and deserve. There’s no reason to put yourself at risk of addiction or overdose. Medical marijuana can save you from a lifetime of trouble. If you’re looking for an effective way to treat your pain without side effects, look no further than Medical Marijuana Services. With a little help, you can find yourself on your way to a pain-free life without the risk of using opioids. Make your grocery list and check it twice. 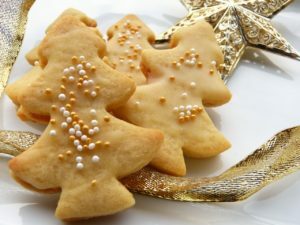 The Holiday’s are right around the corner and what better time is there to indulge in some homemade Holiday munchies? Baked goodies are always a good addition when celebrating with family and friends, but deciding on what to make can be quite the process sometimes. First, you have to think of what to bake, find the recipe for it, buy all of the ingredients and then spend a couple of hours making it. Rather than spending all of your time in the kitchen, we’ve provided you with 6 delicious homemade recipes that are quick and easy to make. With the exception of homemade eggnog, these recipes can be prepared and ready on the same day that your company arrives! Get into the Holiday spirit with these Holiday party snacks. Your guests will be begging you for the recipe! The chocolate peppermint bark recipe only requires 3 simple ingredients, making it one of the easiest and cheapest recipes to bake over the Holidays. Let’s look at what you’ll need. 1. Start by lining the baking sheet with parchment paper. Use either a heatproof bowl or a double boiler and place it over a pot of water and bring it to a lower simmer. 3. Once you get the desired chocolate mixture, pour it on a baking sheet and spread evenly using either a spatula or wooden spoon. 4. Sprinkle crushed candy canes and press lightly to stick. Harden them by freezing for about 5 minutes. 5. Lastly, break into small pieces and serve up to 12 people. The Holidays won’t feel complete without trying these homemade sugar cookies. These Cinnamon Sugar cookies are a fun recipe to try because they can be decorated and cut into multiple different shapes. 1. Line cookie sheets with a waxed or parchment paper. Preheat to 350 degrees F.
2. Pour baking powder, flour, and salt in medium bowl. Set aside. Using the electric mixer bowl combine butter, sugar, and cinnamon sugar until fluffy. Pour egg contents into the mixture and add the flour mixture little by little as your stir gently until thoroughly combined. 3. On a flat surface roll the dough and using a floured rolling pin try to achieve a thickness of ¼ inch. You can use your hands to remove any crumbly bits. 5. Lastly, bake until done. It can take about 12 minutes to do so. Cool them all together, and then decorate with royal icing and sprinkles. Let them dry and then serve. This is an excellent treat for those who love sweet and salty flavors. This recipe will produce 70 little pieces. 1. Start by preheating the oven to 200 degrees F. Line cookie sheets with parchment paper. 2. Place the pretzels in a single layer on the cookie sheet. Put one Hershey’s Hug chocolate on top of one pretzel. Do this for the 70 of them. 3. Bake for about 5 minutes. Do not let the chocolate to melt since you want them to hold their shape. 4. Place one M&M in each Hug (center) and press down to evenly spread the chocolate. Freeze for about 5-10 minutes. 5. Store in an airtight container. Ready for serving. Your guests will not be able to stop talking about these gingerbread chocolate cupcakes. Try making these cute party favors with our simple recipe. 1. 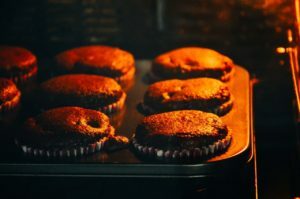 Start by preheating the oven to 350 degrees F. Line pan with cupcake liners. 2. Pour milk, cake mix, melted butter, eggs, and sour cream in a bowl and combine until smooth. When fully blended, pour mix into cupcake tray so that it is ¾ full. 3. Bake cupcake liners for about 15-20 minutes and let it cool. 4. Gingerbread Frosting: stir the butter until soft. Add vanilla extract, crushed gingerbread cookies, and 2 cups powdered sugar (or small amounts until you get the desired consistency). Let cool. 5. Frost the cupcakes and top with Gingerbread cookies. Ready for serving. Have you tried making eggnog at home before? We’ve broken this recipe down into simple steps for you to follow. If you’re running short on time, buying Eggnog from the store is not a problem. 1. Mix milk, ½ teaspoon vanilla, cinnamon, and cloves in a saucepan. Heat low for 5 minutes. Let it boil slowly. 2. Take a large bowl and pour sugar and egg yolks and stir entirely until fluffy. Gradually add hot milk to the mixture. Pour the resulting mixture into the saucepan. 3. Medium cook as you stir after 3 minutes until thick. Do not boil the mixture. Remove cloves by straining and let it cool for one hour. 4. Stir in rum, 2 teaspoons vanilla extract, cream, and nutmeg. Leave the mixture in the refrigerator overnight. A homemade holiday recipe with only 3 ingredients, the Strawberry Santas are a healthier snack alternative and just as easy to prepare! 1. Prepare strawberries by washing and cutting the top leaf off. Lay the strawberry horizontally, and cut in in half so that one side is pointed and the other side is flat from cutting the leaf off the top. 2. Press lightly on a fresh paper towel to absorb the extra juice and to maintain the frosting. 3. Put vanilla frosting in a piping bag and cut the corner off. Swirl some vanilla frosting the top of the flat strawberry end. 4. Place the pointed strawberry end on top of the frosting (like a santa hat) and add a small dab of frosting on top. 5. Add two eyes using the black icing. 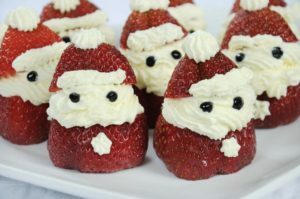 Now, you can enjoy the Strawberry Santas. It’s Time To Get Baking! The Holiday’s are here and lots of time is spent making food, hanging decorations, and buying gifts for the family. If you’re looking for some easy and simple homemade munchies to host your family, friends, and neighbors with, look no further. These party snacks are extremely easy to make and enjoyed by everyone. Since they don’t call for too many ingredients, they can be made the same day that your guests are planning to arrive. Happy Holidays from Medical Marijuana Services! Getting a good night’s rest is important for our health and how we function the next morning. Fortunately, cannabis can help you sleep throughout the night and reduce the grumpiness that comes with no sleep. Find out if cannabis can be your sleep solution and how it can help. Which type of cannabis can help you sleep? If you’re not already well-versed on the different types of cannabis, now is a good time to learn. Different strains of cannabis have different effects on your body. Sativa is more of a mood-lifter. When some people take it, they tend to feel more energetic and happy. On the other hand, indica tends to make people more sleepy. It’s the common choice of people looking for a night-time sleep aid. Chemical testing hasn’t shown a definite reason as to why it’s so effective for sleep. However, some people believe that indica has a higher terpene content and terpenes is what makes each strain so unique. Whether they’re right or wrong about the science behind it doesn’t matter. All that matters is how cannabis can help you sleep. Indica has a calming effect that can help decrease your stress levels. When you’re high, it’s much easier to relax and that can be exactly what you need to fall asleep. If pain, insomnia, or any other conditions prevent you from falling out, cannabis can help with that. Taking cannabis before bed can help relieve pain and help you relax you enough to put you to sleep quickly. In addition to putting you to sleep faster, it can also help with your breathing. Breathing trouble in your sleep due to sleep apnea can cause you to wake often but cannabis may help with that. Some research has been done on the effects of cannabis on sleep apnea, and cannabis seemed to help. More research needs to be done on the subject. But it’s quite possible that marijuana can help people who don’t sleep because of sleep apnea. If you want to sleep soundly with cannabis, there are a few things you should know. 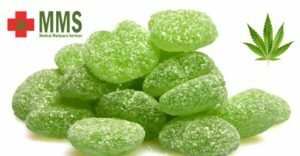 First, you should consider consuming cannabis through edibles. Edibles are known to take longer to kick in but it can also help you sleep longer too. Keep in mind the dose and make sure you don’t overdo it if you don’t feel any effects right away. If you stick to the recommended dose you will sleep well. Finally, you should try cannabis with a natural sleep aid. When it comes to sleep, you need all the help you can get. Chamomile, lavender, and hops can work together with cannabis. They form a powerful natural sleep aid. It may be a combination that helps you fall asleep and stay asleep longer. Try Using Cannabis as a Sleep Aid! If you find yourself up at night and are looking for a sleep-aid solution, you can try using cannabis before bed. Cannabis may be the sleep solution you’ve always needed since it can help you fall asleep faster, and keep you asleep throughout the night. If you are not familiar with using cannabis as medicine, speak with a doctor through MMS Canada or do some more research on the recommended doses before bed. Always consider the time it takes for the effects to kick in and the different consumption methods that you can try. With the options that are available through cannabis, you will be sure to find one that works for you and helps you sleep throughout the night. Know How Medical Marijuana Can Be a Medical Boon!! Marijuana, also recognized as the ‘cannabis,’ has been utilized for over 3,000 years to cure and manage pain, digestive problems, and even the mental disorders. 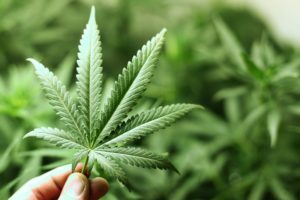 Regardless of the point that cannabis is considered as a beneficial element for dealing with various medical issues and signs, there is a great discussion about its safety and efficacy. This herb has got legalized in several states to be used for the healing of various medical problems. The hash oil and Sinsemilla, which is a type of cannabis that holds high narcotic agents, are considered as the stronger varieties of marijuana. Now, in Canada, the veterans can easily acquire medical marijuana through the veterans’ affairs Canada. [Read more…] about Know How Medical Marijuana Can Be a Medical Boon!! 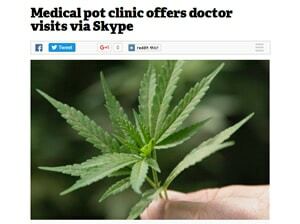 Listen to MMS on CBC discussing telemedicine and the role it plays in Medical Marijuana Canada. As printed in the Ottaw a Metro News. Read the original article here. An Ottawa-based medical marijuana licensing clinic is reaching out to patients as far as the Yukon by facilitating health care practitioner visits through Skype. As printed in the Ottawa Metro. Read the original article here. A new medical marijuana clinic in Ottawa is linking up patients with chronic pain, sleep disturbance, cancer and PTSD with a doctor willing to sign off on prescriptions to the drug. As printed in the Ottawa Citizen on February 7, 2014. Read the original article here.